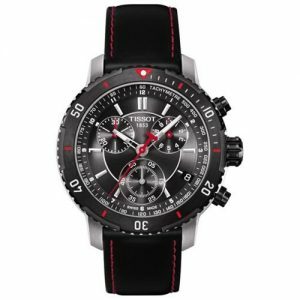 The new Tissot PRS 200 Quartz Chronograph is the flagship of affordable elegance for a chronograph timepiece. Its reliable, high-tech operation is complemented by handsome styling. Many of its design features are diving inspired, including the safety-conscious unidirectional bezel, luminous markings and the strap with a practical safety clasp and extension. Performance and appearance share identical high standards, with a wide selection of materials and color combinations. PVD finishes, attractive bicolour versions, as well as sporty classics, appeal to a variety of different tastes. Great Watch and the price was right, I get everything I wanted in a watch….forget the more expensive watches…..this time piece is one for the ages…..
My husband loves this watch! Product came as described and arrived before the due date. I love the colors of the watch and its features. Fantastic!!! Excelent A great watch! Very fancy watch Nice watch, I love it. Very nice watch, good size, look and weight. I have a medium wrist and this watch fits ok. Good value for money. Battery was dead, but local Tissot Office replaced battery free of charge. 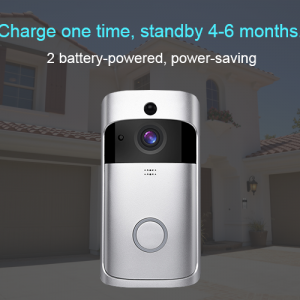 Works fantastic and looks good. Buy Tissot today. Received my watch last week. Great watch!! Just right for my wrist. It has a sport edge to it and also can be used as a dress watch. Great buy. I love the metallic texture of it. Great watch, totally satisfied to spend this amount of money on it. You basically pay non-luxury money for a luxury-sport type of watch. that is a great watch. I got on right time. I liked the product. It is a bit smaller than expected. but looks nice. As advertised, no ugly surprises. superb watch indeed. I have absolutly no regrets. Beautiful watch, the colors match prety well. the wirst is not big could be a little bit bigger. The 40mm diameter is more apropiate for medium size wrist. Bought this for my husband. It’s a very nice watch. He is very happy with it. Nice watch, little small but fine by me. Good materials, different than other Tissot. The watch itself is beautiful. It looks modern without being weird. The size is perfect for my not-so-big wrist. The weight is not bothersome for me. It feels like good quality. I find the seller’s pictures don’t give the watch justice. It is much nicer in real life. The item was delivered on time and in perfect condition. I would recommend the seller. This is my new favorite watch. It looks even better in person than in the online photos. It is comfortable and very stylish. I didn’t know it had a divers extension on the clasp until I put it on, so that may come in handy if you dive. I am a fan of larger watches, but this one is about as small as I would go. I haven’t found anything I dislike about this watch. thank you gorgeous watch love it. The watch looks classy. Pretty satisfied with the price and the looks. But the dial is not as black as it is shown in the picture. It is rather gray. I never realized this before but since the hands are steel colored and the dial is gray it is difficult to read time during the day (specially under the sun). The first thing I would say is that the watch feels a little heavy, well crafted, its a looker, ..I really like the black dial with details in red, just wish the case diameter was a little bit bigger, not a deal breaker for me….nice addition to my collection. I am happy with the purchase, especially the price. Overall great buy. Bought this for my son as a graduation present. He loved it. Packaging was very nice. This is the first Tissot that I’ve ever bought so I didn’t have anything to compare it to really in the same price point, but the band did feel a little light compared to other watches I’ve purchased. Excellent time piece absolutely classy.. I was just randomly looking for items and luckily I saw Tissot was put on sale and I ordered it immediately coz I love this watch. It is original and very fast delivered to me!! Gave to my Dad, and he just love this watch. Its classy yet modern. Good built quality, the material used is premium quality. Unique strap. Totally worth buying it.